JORNADA CAPACITACIÓN PERITO VERIFICADOR AUTOMOTOR ACTUAL, LLEGO LO QUE ESTABAS PIDIENDO A ROSARIO, TODO LO REFERENTE A NORMATIVA ACTUAL DE LA DNRPA Y EL INTI, ÚLTIMOS FALLOS DE LA CORTE SUPREMA, DEJANDO CLARO QUE NO SOLO PERSONAL POLICIAL DEBERÁ CONOCER DE IDENTIFICACIÓN VEHICULAR, PARA EL CORRECTO REGISTRO Y CIRCULACIÓN DE CUALQUIER UNIDAD AUTOMOTRIZ EN LA REPÚBLICA ARGENTINA, SU HOMOLOGACIÓN, EN SINIESTROS LO QUE SE DEBERÁ TENER PRESENTE HOY EN DÍA, DOCUMENTOLOGÍA, ESTE CURSO ESTA DESTINADO A PERSONAL DE FUERZAS DE SEGURIDAD, ASÍ COMO GESTORES Y MANDATARIOS, ABOGADOS, ASEGURADORAS, MECÁNICOS Y REPARADORES DE CARROCERÍAS Y CHASIS, ESTUDIANTES EN CRIMINALISTICA Y OTROS QUE TENGAN QUE VER EN LA CALIDAD Y TRAZABILIDAD VEHICULAR. 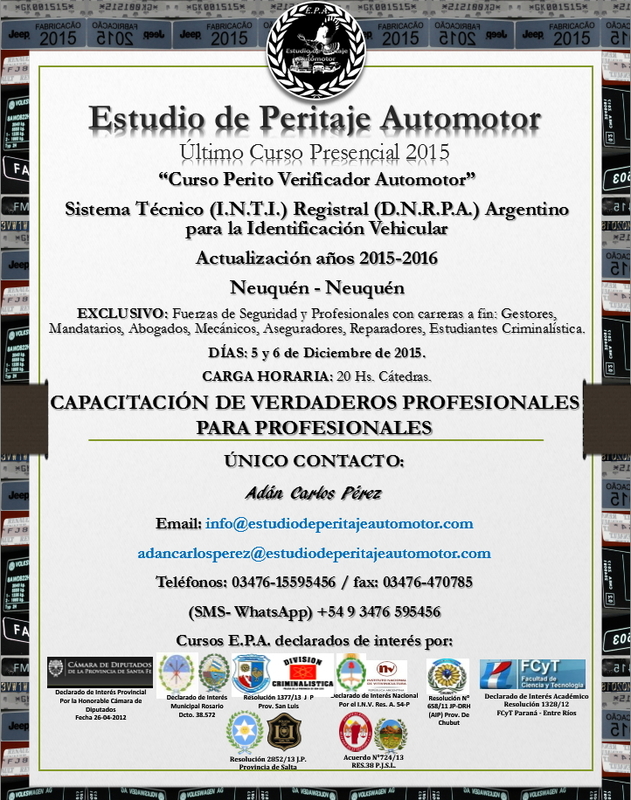 HOY EN DÍA ESTUDIO DE PERITAJE AUTOMOTOR ES LA EMPRESA ARGENTINA NÚMERO UNO EN IDENTIFICACIÓN VEHICULAR POR CARRETERA, LOS ESPERAMOS EN LA CIUDAD DE ROSARIO, PROV. 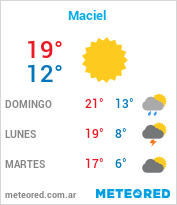 DE SANTA FE, EL DÍA 2 DE ABRIL DE 2016 NO TE LO PIERDAS!!! ÚNICAMENTE 45 CUPOS, TERMINADOS ESTOS SE CIERRA INSCRIPCIÓN!! !